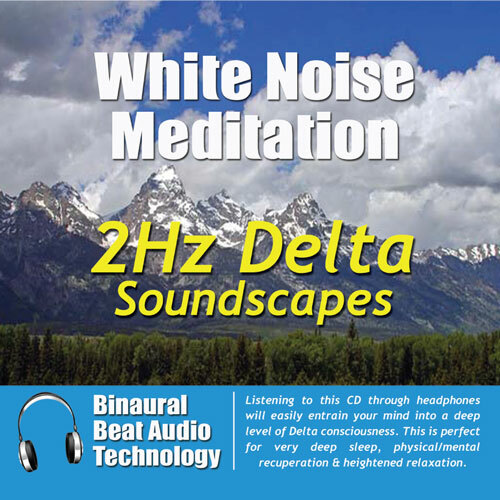 The special white noise and binaural beats on this recording are centered around 2 cycles per second (2Hz). This promotes an easy transition into a very low Delta brainwave pattern through brainwave entrainment. The Delta state of mind has numerous personal benefits for any listener if experienced on a regular basis. Also included in the audio mix is an ambient musical soundscape to create a more interesting listening experience. To use the program simply find a quiet place and play the program through headphones and allow yourself to drift away into your own private mental space. This CD or MP3 must be used through headphones for the binaural beats & encoded white noise to be effective. Listen to the whole album or any of the tracks individually. Each track will take you a little deeper and using one or two tracks at a time can be convenient if you are limited in time. Regular daily use will allow you to experience Delta brainwave patterns for long term results. It is fine to fall asleep listening to this album.